Join us for a morning of practice caring for ourselves in community. This workshop will incorporate meditation, somatics and sharing in a context of butch love and support. How will we get there? Let’s listen deeply to the wisdom of our hearts and our bodies and create a beautiful vision for our time together at Butch Voices. Amanda Ream is a longtime meditator and on the leadership team of the East Bay Meditation Center in Oakland, CA. A practicioner in training with Generative Somatics, she’s a union organizer by day. 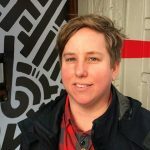 Smith is an engaged artist, activist, community organizer, sharing cultivator and mindfulness educator interested in deep ecology and manifesting a culture where we can turn toward fearless abundance and generosity. She is Founder and Curator for Oakland’s Dana Cafe, a monthly gathering offering transformational teachings at no cost to participants. She co-leads and organizes East Bay Meditation Center’s weekly Teen Sangha and is a mindfulness and meditation instructor with the Mind Body Awareness Project. This is an exploration of the intersectional properties of being Black, Lesbian, and masculine. Black masculine lesbians purposefully create and execute their masculinity in ways that protect them from sexism, racism, and homophobia both in and out of their Black community. This presentation will focus on Black lesbian masculinity and self care. It will explore trauma exposure, the effects of trauma on the body and the psyche, and how to implement and manage self care practices. 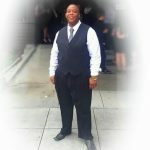 Dana “TherActivist” Johnson, MSW has been providing services for LGBTQQIA youth for over ten years. Currently she provide services for at-risk female youth, as a juvenile probation counselor. Her experience working with LGBTQQIA-2S youth includes: services in institutions, outpatient clinic, reformative camps, and educational settings. 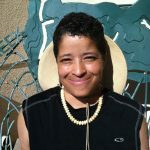 She has provided LGBTQQIA-2S trainings for over 10 years to a variety of organizations throughout California. She facilitates educational reformative programs for youth; provide workshops and trainings for adults and adolescents; and provide motivational speaking. She’s a member of a variety of LGBTQQIA organizations including: Alpha Psi Kappa Fraternity Inc., Gaylesta, and SMCO Pride Initiative. Tiana “Trade Mark Jones” Mack, M.A., MFTi, is a fifth year clinical psychology student and Marriage and Family Therapist Intern. 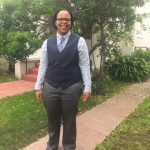 Her research interests are Black lesbian masculinity, African-Centered psychology, the Black family, and Neuropsychological Assessment. 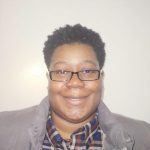 Tiana was the president of Argosy University’s LGBTQI club from 2014-2016. As the president she organized several campus and community events: Black Minds Matter: The Role of Psychology in Black America seminar, workshop, and panel; LGBTQI week; and Inspirational and Influential Women’s week. Currently a Clinician/ Intern at Full Service Partnership (FSP) Residential Program which is one Momentum for Mental Health’s crisis residential services. She works to assess and support the needs of individuals presenting with severe/ chronic mental illness symptoms to assist them in reintegrating back into the community. This sessions will give participants the opportunity to be guided on a journey of meditation, writing and speaking their stories. Participants will be challenged to reconnect to their writing, recharge their stories and use their creativity as a form of resistance to the current political landscape. Evolve Trinity is a poet and illustrator from Los Angeles, CA. Evolve work can be found in the Trans bodies, Trans Selves (2014) and Outside the XY: Queer Black and Brown Masculinity.